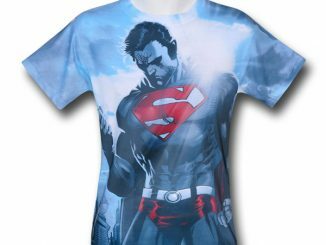 Become the Man of Steel with the Superman Suit Sublimated Batman v Superman T-Shirt, but realize you’re being a hypocrite because, like Batman, you’re a vigilante, too. 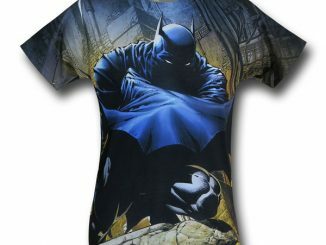 There are no guarantees that the Batmobile will bounce off you if you wear this tee but it’s still a perfect shirt to wear when you go watch Batman v Superman on the big screen. 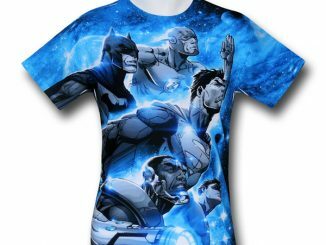 Of course, the Batman v Superman Bat Suit FB Sublimated T-Shirt and the Batman v Superman Wonder Woman Suit FB Sub Juniors T-Shirt are also excellent choices. 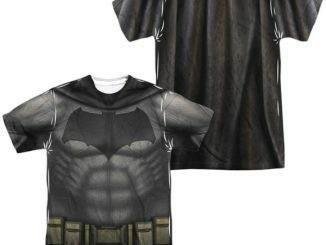 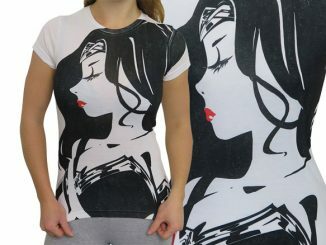 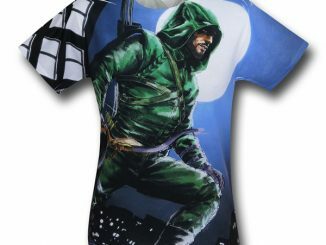 Sadly, since there’s no photo of the back, I think this shirt might be plain white on the back, unlike the previously-mentioned Batman and Wonder Woman shirts that include a look at Bats’ and Wondie’s capes. 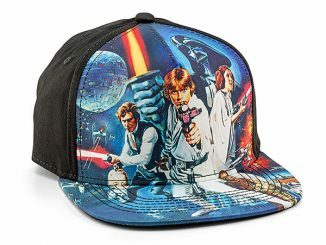 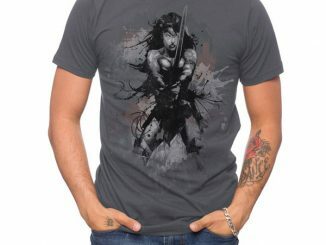 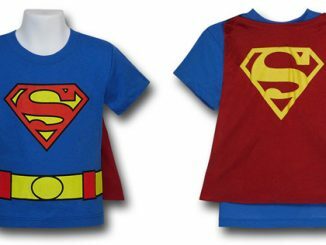 Still, you do get the iconic ‘S’ logo and instant super abs so that’s something. 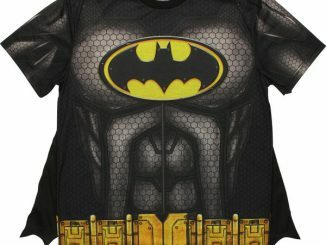 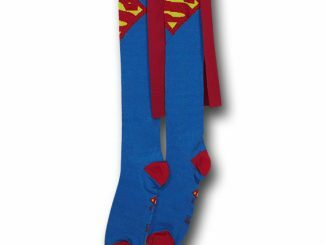 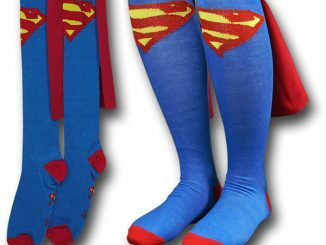 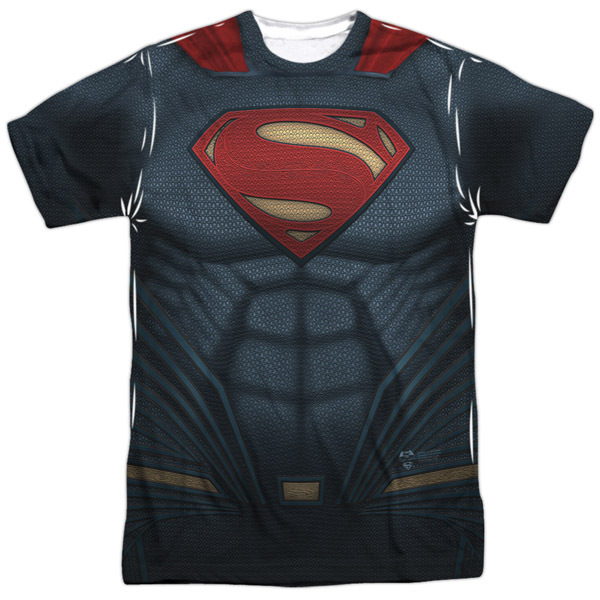 The Superman Suit Sublimated Batman v Superman T-Shirt is available for $24.88 at StylinOnline.com.